Alright, so maybe Norman Bates, who once claimed that “A boy’s best friend is his mother,” is the creepiest on-screen mama’s boy. But the title character of the film Cyrus runs a close second. 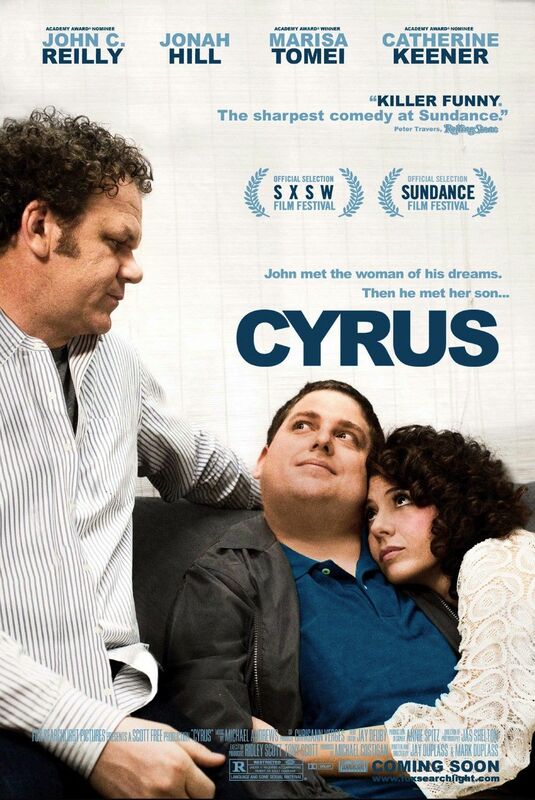 In the film, Cyrus (Jonah Hill) does everything he can to interfere with the budding relationship between his mother, Molly (Marisa Tomei), and John (John C. Reilly), a lonely and depressed guy who thinks he’s finally found the right woman, until he meets her son and sees the creepy, truly dysfunctional relationship they have. John and Cyrus engage in some serious psychological warfare, some of which is quite funny, and Molly clearly doesn’t see or understand what’s wrong with the relationship. Reilly and Tomei are both good, and Hill gives a decidedly more low-key performance than I’ve seen him give. As noted, the film has some good laughs, and it’s generally pretty engaging. Does it drag a little bit? Yeah. Is some of the humor a little broad? Yes. But overall, Cyrus is a decent movie with a memorable line of dialogue that I’ll be quoting — and maybe even wearing— for some time, and I’d say see it. I’m giving the film a B.